The Tirumani is a premium project of 19 storey towers comprising 51 supreme apartments spanning 3559-3640 sq ft inclusive of luxurious amenities like club with pool, gym, grand lounge, lots of indoor games facilities, spa, etc. The Tirumani is positioned just off the Ballygunge Phari Junction with easy access to the Park Circus seven point crossing. 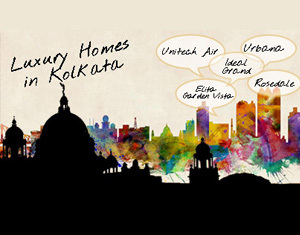 The Gariahat is also in proximity to this lavish project. The Jatin Das Park Metro Station is at a short drive from here. The famous Radha-Krishna temple by the Birlas is well within the vicinity of this exclusive property. The Tirumani stands just off the Ballygunge Phari Junction with easy accessibility to the Park Circus seven point crossing. 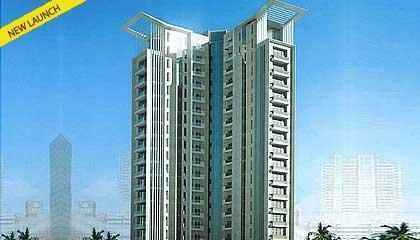 The Gariahat is also placed quite close to this luxuriant project. The Jatin Das Park Metro Station is a short drive away from the site. The famous Radha-Krishna temple by the Birlas is in proximity to this elegant property. 1. Identify your apartment: Our Property Advisor will assist you with full details of the project, viz. Floor Plan, Application Form, Cost Break Up, Payment Schedule and home finance options available. 2. Fill up the Application Form and send the same to our nearest office along with the payment of 10% of the basic sale price. Rest as per payment plan. You can also opt for easy instalment scheme and book your property. Salwood door frame with 35mm thick elegantly finished paneled shutters except for kitchen and toilet doors which will have commercial faced inners painted with matching enamel point. The shutters will be hung with brass barrel bolts, entrance door shall have night latch, door knocker and a magic eye. Bedroom and kitchen doors shall have mortise lock and doorstopper and the toilet doors will have bathroom latch. All windows will be standard aluminum section windows with glass inserts in each shutter (depending on the requirement of the elevation) fitted with stay and handles and will be provided with matching guard bars. Inside walls will be finished with plaster of Paris punning and exterior surface of wall will be finished with combination of textured paint tiles (or any other material as approved by the project architects) and glazing as per architectural drawings. Black granite top cooking platform with one stainless steel sink and drain board. Walls of kitchen will be clad with ceramic tiles up to a height of two feet above the counter. Closed Circuit Television (CCTV) which will be energized and will view the person using the Intercom from the ground floor reception or pressing the calling bell at the entrance of any flat. These security arrangements will be supported by independent miniature cameras installed in a camouflage in the entrance lobby in the ground floor as well as in all typical floor lobby. The two staircases will be finished in mirror polished Kota stone and the typical floor vestibule will be finished in imported marble with inlay work in places. Car parking facility has been proposed in abundance viz. one car park for every bedroom built in the Complex. Parking will be made available either in the basements of the building or within the compound area.